Ever tried marketing a product in a shrinking category that is driven by impulse-purchase? To make a lasting impression, you need to steal the customer’s attention. But in this category, your biggest asset – color – links to flavor, not brand. Now it’s ten times more challenging to stand out from competitors. 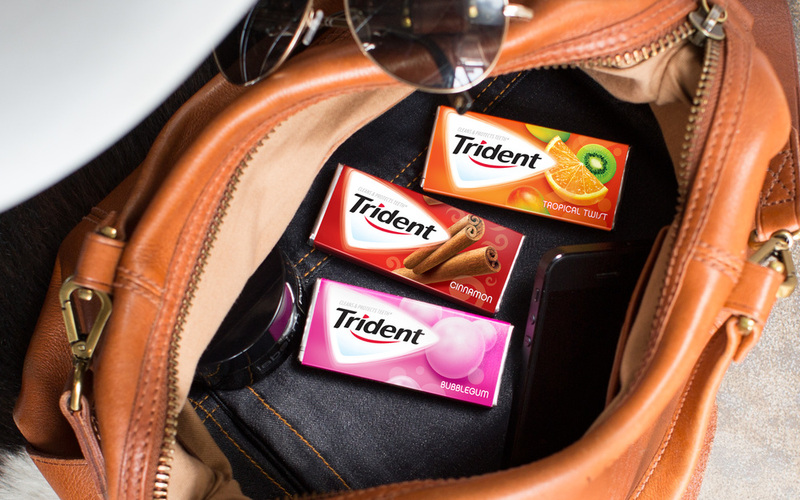 This is the market landscape for Trident in North America, where the gum category declined 3.2% in 2014*. The solution? A complete portfolio refresh. The good news for Trident is that emerging trends in oral care and gum play to Trident’s strengths, and the category is expanding its focus on wider health benefits that improve overall wellbeing, as well as oral care*. Flavor is also becoming more important in oral care products, creating opportunities for vivid designs**. With flavor as a focus, Trident’s new brand portfolio connects bold taste with vibrant packaging that can’t be missed in the checkout aisle. “The flavor icons bring unity from pack-to pack, and they also emphasize the relationship between color and flavor. For example, the gum pack isn’t just orange – it’s tropical twist,” says Ben Blaber, SVP Account Director at Davis. The refreshed brand confidently conveys Trident as more than just a gum that is good for your oral health; it’s an essential part of your day. The strong shield creates a beacon on pack and a spotlight on shelf, which also acts as a visual reminder of its protection and dependability. And results speak for themselves… the brand refresh has been a success for Trident, with recent share gains and dollar sales growth outpacing the category.